"In New Braunfels ist das Leben schön." "In New Braunfels, Life is beautiful." Market Place Townhome - Walking Distance to downtown & Main Attractions. 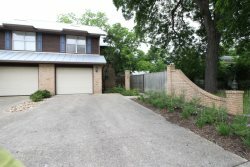 These 5 bedroom vacation rental properties are all located in beautiful New Braunfels. All properties are conveniently located close to area attractions, and all units are fully furnished with kitchen necessities and linens. The vacation rental of your dreams is waiting for you, book it now!